It seems dark outside these days. An odd statement, perhaps, amidst the longest days of the year but I’m not referring to the physical daylight or absence thereof. I’m talking about the spiritual climate around us. The negative pictures painted of the world by news and media outlets are further reinforced by the discussions occurring on coffee row at your local restaurant. I can hear the underlying sustained note of a particular kind of destructive condition – hopelessness. It isn’t difficult to see the world around us is confused, misdirected and lost but a concerning thing is that this condition – hopelessness- is also at times present within the church as well. During some recent conversations in Christian circles I felt a challenge within me: we are talking about all the problems in the world, analyzing them and highlighting the difficulties but we are not coming up with solutions to them. 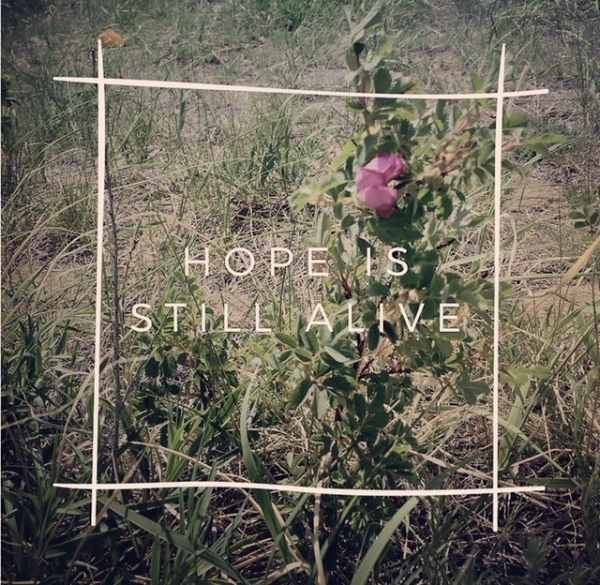 Hope is the antidote to the disabling effects of hopelessness. And “hope” happens to be found in a Person. This verse repeats a prophesy from Isaiah which was now being fulfilled in Jesus. Jesus is the hope of the nations and He is alive, therefore hope is alive. But before we think it’s all His job to get hope to our nations we need to recognize who we are and the role we, as His children play in bringing Him – Hope - to our nations. Though Jesus is the answer, Father God has designed a method for getting the Answer to the world and that method is through those who know Him. His Spirit is a Spirit of hope because God is the God of all hope (Rom.15:13). As His people we are continually being renewed in the ways of Our Father and His kingdom. If you know Jesus, hope lives within you. You are a hope carrier. The problem is that as we begin to listen too much to what is happening around us we can lose sight of who we are. We can become disconnected from our Hope. We begin to believe the taunts of the enemy throughout the earth and we can think God is on the defensive. He surely is not. Jesus did not need to assert Himself through force. He is who He is and nothing can thwart Him. It would have been very difficult for the disciples to see Jesus crucified, indeed, it wouldn’t have made sense to them. Dying doesn’t seem like the most linear and logical choice for establishing a rule and reign. But Jesus did not stay dead! Today, if we listen to the wrong voices we can become disillusioned and disconnected from hope. Though the method by which Father God is moving may still be hard to understand in some scenarios it is because it is wisdom from another kingdom. We have to become intimately acquainted with His love and His ways to understand more about what He’s doing. He is not losing. Though it may seem like darkness is advancing it won’t be for long. Scared cats reveal their claws and the kingdom of darkness in its insecurity is loud – very loud. But Father God has no need to flex His spiritual muscles in order to try to impress or intimidate His opponents. He’s already defeated them. It is our job as people of Hope to enforce the victory He has won. What matters now is our willingness to believe and partner with Father God in His pursuit to save and bring the world back under His ways of love, righteousness, peace and joy in His Spirit. That’s definitely a kingdom I want to live in! In light of Canada day I’d like to invite you to pray out the verse above and declare that Jesus is the hope of our nation. Then together let's ask Him how He wants to spread His hope, truth and love through us to the world around us. Hope is nowhere near lost. He’s very much alive! Let’s let the world see Him. Click here to learn more about my new book, "Servant Sons & Daughters" and new music!